These days, knowing how to sell a house isn’t as simple as sticking a “For Sale” sign on your lawn. Times have changed—and the good news is the market is largely tilting in your favor. “It’s undeniably a seller’s market,” says Linda Sanderfoot, a real estate agent with Coldwell Banker in Neenah, WI. In other words, buyers are demanding homes, but there isn’t much inventory on the market nationally. Plus, half of home buyers are worried about rising interest rates and looking to lock into a home soon. 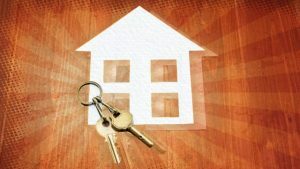 As a result, “there is pressure on buyers to submit offers quickly, and to offer full or even above list price,” says Peggy Yee, supervising broker at Frankly Realtors in Vienna, VA.
All of this puts sellers squarely in the driver’s seat—which can be a lot of pressure if your GPS is broken and you don’t know how to navigate this new world. Consider this your crash course in getting up to speed. While conventional wisdom might suggest listing your house a bit above market value so you can make a mint (or get haggled down by buyers to something reasonable), don’t do it. The reason: In today’s fast-paced environment, this also puts you at risk of your home sitting on the market, which can make it more difficult to sell. “If your house is still for sale after a month, buyers are going to assume something’s wrong with it,” says Seth Lejeune, a real estate agent with Berkshire Hathaway in Collegeville, PA. So list it right at market price, which your agent will help you determine. If anything, listing it a bit below market price could also work in your favor by sparking a bidding war which could drive the price up higher than you’d ever hoped. While professional photographs are a must, many sellers are going a step further these days. For example, you might consider doing a video tour, which entails hiring a videographer to walk through your home, camera in tow. The footage is then edited, background music is added, and the video is posted online. “It gives buyers the sense that they’re walking through the house without even stepping foot inside,” says Lejeune. It may even enable you to sell your home “sight unseen”—which is actually how one in five buyers does it these days! Social media is another smart component to leverage. Spread the word that your home is for sale by posting your listing on Facebook, Instagram, Twitter, and other social media platforms. Create a post saying: “We’re excited to put our house on the market. Please get in touch if you’d like to schedule a showing. Pass along!” Be sure to include a link to the listing so that buyers can see more. And, of course, make sure your real estate agent is spreading the word on social media as well. “Presentation is everything,” says Sanderfoot. And these days, that means hiring a professional home stager, someone who arranges your furnishings in a way that entices buyers to bite. The payoff can be substantial. On average, staged homes sell 88% faster and for 20% more than nonstaged ones. Staging is particularly important if you’ve moved out, because bare rooms can look empty and sad. Unfortunately, staging costs can add up. Most home stagers charge $300 to $600 for an initial design consultation, and $500 to $600 per month per room. If you can’t afford to stage the entire house, at least make sure the living room and kitchen are professionally furnished, because they’re the most important rooms to home buyers, according to the National Association of Realtors®’ 2015 Profile of Home Staging survey. Need an even cheaper option? Try pop-up staging (“fake” cardboard furniture that looks real) or virtual staging (digitally altered listing photos). But use these only as last resorts—real is better. With how tight inventory is today, there’s a good chance you’ll receive multiple offers. Trust us, this is a good problem to have! Still, if you’re blindsided, it can be stressful. To ease that pressure, create a plan for how you’d respond if you receive multiple bids. For starters, there’s no hard and fast rule on how you should act. “The decision depends on what’s important to you,” says Yee. For example, some sellers are just looking to accept the best offer they receive and move out fast. Others, however, might be interested in learning how to spark a bidding war to drive up their home’s price. That said, “sometimes the highest offer is not always the best offer,” says Sanderfoot, adding that you need to consider each offer’s full terms, including contingencies, closing window, and the buyer’s financing. By determining exactly what’s important to you in advance, you’ll be able to make an easier decision if you get a deluge of offers (hey, in today’s market, it can happen).